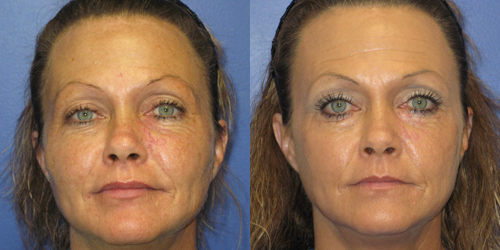 Dr. Paul Howard offers a variety of facial skin resurfacing to address a variety skin types and conditions. Dr. Howard believes facial skin resurfacing should be accompanied by a quality skin care regime to prep the skin prior to treatment and to help maintain the results following treatment. Dr. Howard offers a variety of chemical peels to address fine lines, wrinkles, age spots, acne scars, and sun damaged skin. Either of these procedures is conveniently performed in the privacy of Dr. Howard’s office. Chemical peels have long been the standard in skin resurfacing and have withstood the test of time. Dr. Howard offers the most common and safest TCA chemical skin peel. For patients who may need a deeper peel and a stronger peel to address severely damaged skin, Dr. Howard may combine the TCA with a Jessner peel. Most patients require a weekend recovery following a chemical peel. Patients are advised to refrain from exposure to heat and sun following any skin resurfacing treatment. TCA is not recommended for more sensitive areas of the body such as the neck and chest. A different type of skin peel is available for those more sensitives areas. Dr. Howard also offers microneedling to resurface the skin. Microneedling is ideal for deep pores, acne scarred skin, and areas where the skin is thin requiring more structure such as around the eyes. Dr. Howard offers microneedling that can be performed alone or in conjunction with platelet rich plasma (PRP) or hylauronic acid. 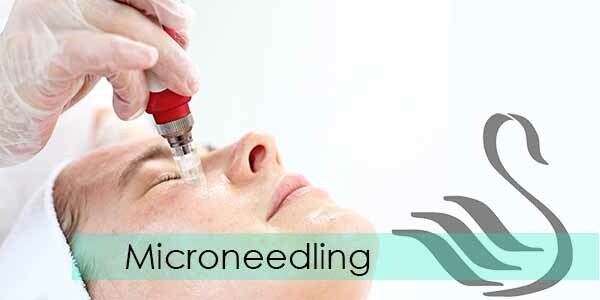 Microneedling can be performed on the face, neck, chest, and hands. Skincare is an essential element before and after any skin resurfacing treatment. Dr. Howard will recommend a skincare regime to help you prepare for your facial skin resurfacing treatment and to help you maintain your result. During your consultation with Dr. Howard, he will evaluate your skin type, discuss your cosmetic goals, and recommend the best options to help you achieve your desired result. 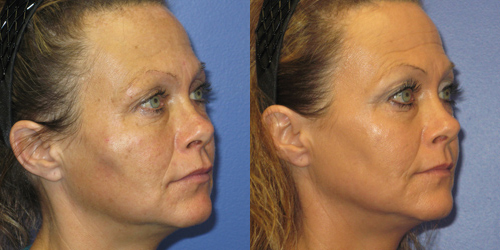 For patient's desiring moderate results, glycolic peels are also available. Glycolic acid peels come in a variety of strengths that can improve skin texture and tone without downtime. Glyoclic acid peels cannot achieve the same results as TCA, but a series of glycolic peels can yield nice results over time. 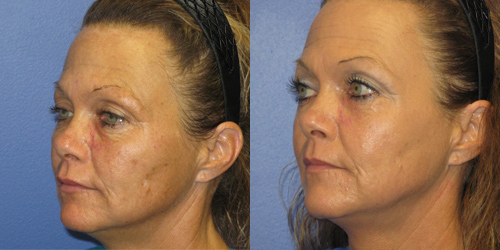 Skin resurfacing is performed in the privacy of Dr. Howard’s office. When the patient arrives for their procedure, a layer of topical anesthetic cream will be applied to the face. This topical anesthetic will remain for one hour. The patient is welcome to bring a book or laptop to use during this one hour wait. After one hour, the topical cream will be removed and the skin prepped for the skin resurfacing procedure. Protective goggles may be placed over the eyes during the procedure. The actual procedure takes approximately 30 minutes to perform. A thick layer of topical ointment, or Aquaphor, will be placed on the skin following the skin resurfacing procedure. This ointment needs to be kept on the surgical area for approximately 3-4 days. Special instructions will be given regarding cleaning. Minor swelling can be expected with this procedure. Cold compresses may be used to help alleviate pain and discomfort. 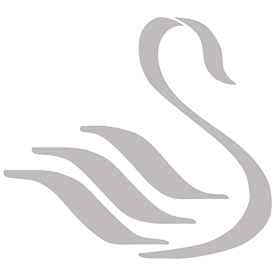 Pain medications will be prescribed if needed. Patients are asked to sleep elevated for the first few days. Patients are asked to refrain from sun exposure until healed, and then apply a sunblock of 35+ SPF every day.